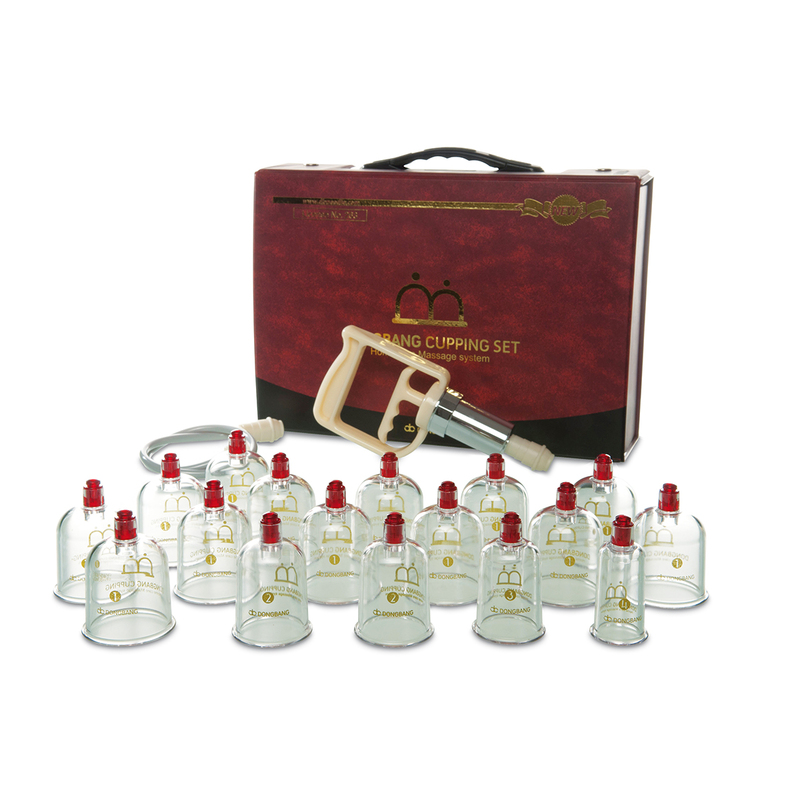 The cupping set comes in an elegant lightweight case, easier to carry and store. Cups are non-breakable and there is a valve on the top. Place the hand pump on top of the cup, apply pressure. To release pressure press the valve. 17 cups in total. 2” diameter (13pcs), 1.8” (1pc), 1.6” (1pc), 1.3” (1pc), and 1.0” (1pc). 1 suction pump. 1 extension tube, 26” length.